The latest competitor to the Apple dominated mobile app space is Adobe with the announcement that Adobe Air 2.5 will be making its way to tablets, phones, and TVs, in theory allowing all Adobe Air designed apps to run on your device of choice. 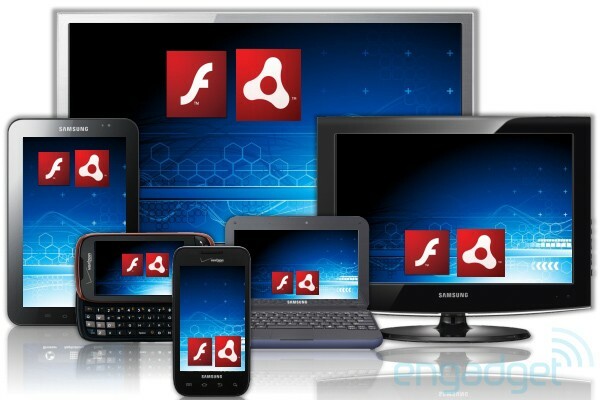 Adobe Air 2.5 includes everything necessary for building great apps on mobile devices including support for multi-touch gestures, accelerometers, GPS data, mics and cameras, and hardware acceleration. Adobe today has also announced the Adobe InMarket for developers that will take care of hosting, billing, and app approval for 30 percent of the revenue. InMarket wont assist you with getting Air designed apps in Apple’s App Store, but is expected to support the Intel AppUp store, and the upcoming RIM and Samsung app marketplaces.